Tropical Rivers Lab seeks to facilitate learning and research opporrtunities for undergraduates in the field of environmental science. Melissa graduated from Miami Dade College with an A.A. In Environmental Studies and from FIU with a B.A. in Sustainability in the Environment. 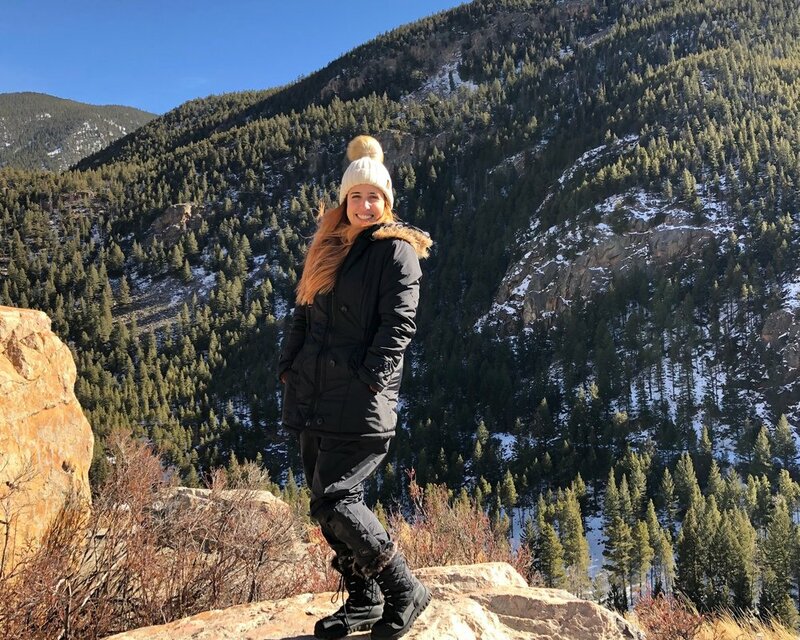 She is currently working on exploring the field of Environmental Psychology, which studies the relationship between the natural environment and human behavior as well as how they affect one another. She is currently working on a water conservation survey which examines the motivations and obstacles college students living on and off campus go through when it comes to conserving water. With this work, she hopes that it will be the first step in introducing this branch of environmental studies to the university and emphasize the importance of examining the psychological aspects of our everyday choices. Adrian Figueroa is a senior undergraduate student at Florida International University (FIU), majoring in Environmental Studies: Natural Resources Sciences and Interdisciplinary Studies. He conducted research examining seed dispersal by gopher tortoises in the South Florida pine rockland ecosystem surrounding Zoo Miami. Adrian has also studied collared peccary vigilance behavior at La Selva Biological Station, Costa Rica and is now serving as the TCI’s first-ever Undergraduate Research Intern Peer Mentor. Currently, Adrian is developing a sociodemographic study assessing various factors influencing the attainment and awareness of environmental-STEM opportunities by students at FIU. He hopes to make a positive, long-lasting, impact on wildlife and environmental conservation efforts both locally in South Florida and globally. Francina graduated from FIU with a B.A. in Sustainability and the Environment. Currently, she is the Lab Manager for the Tropical Rivers Lab at FIU. Her work is focused on using science communication to facilitate awareness on the importance of river connectivity and the natural environment around us. Through this she hopes to launch off in bridging a gap between the scientific and non-scientific community for the importance of environmental conservation and policy change. Daniela graduated from the Honors College at Miami Dade College (MDC) and then transferred to the University of Florida where she graduated in 2016 with a bachelor's in Environmental Science. She has been working at MDC Earth Ethic's Institute since 2016 and joined the Tropical Rivers Lab in August 2018 as an intern. Daniela is focusing on the environmental history of the Miami River, looking at how people's perceptions of it have changed overtime and the impact it has had on the health of the river. She is also a research assistant at the University of Florida looking at nitrogen leaching in soils. She hopes to attend gradate school to pursue a degree that integrates her research interests in coastal restoration and water quality in urban environments. Cynthia Fussell Persaud is an undergraduate student at Florida International University. Majoring in Sustainability and the Environment, minoring in Environmental Science, and working towards a certificate in Biodiversity Conservation and Management. She has always had an interest in tropical regions and wildlife conservation. Currently she is being mentored under Dr. Elizabeth Anderson and Dr. Christopher Baraloto with the FIU Tropics’ Tropical Conservation Internship Spring 2019 cohort. Her internship project focuses on estimating population sizes and social perceptions of introduced peacocks in the Coconut Grove and neighboring communities of Miami. Cynthia is also working full time as a walking tour guide in the Big Cypress National Preserve. Elizabeth Martinez is an undergraduate student at Florida International University, majoring in Biological Sciences. She is one the selected interns of the Tropical Conservation Internship Spring 2019 cohort, where she is currently conducting research on introduced peacocks in Coconut Grove, FL. Elizabeth has a strong interest in animal welfare and environmental and wildlife conservation. She hopes to make a difference someday working as a veterinarian.